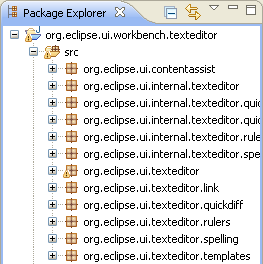 Till now Eclipse had a package name compression preference with which 'org.eclipse.ui.contentassist' could be compressed to 'o.e.u.contentassist'. From M7 onwards package names in Java views can be abbreviated with some custom rules as well. 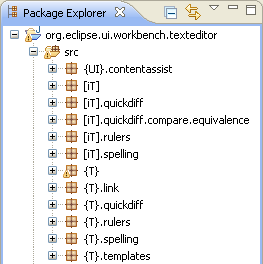 These rules can be configured in Preferences > Java > Appearance > Abbreviate package names. I really like this feature. Thanks Guven Demir for contributing this(Bug 299514) !! Also, we have a new decorator (a big red '!') on Java projects and working sets that contain build path errors. We went through a number of options (Bug 215980)before settling on this one. Helps to spot those build path problems really easily! Nice work! I can really use package name abbreviations.